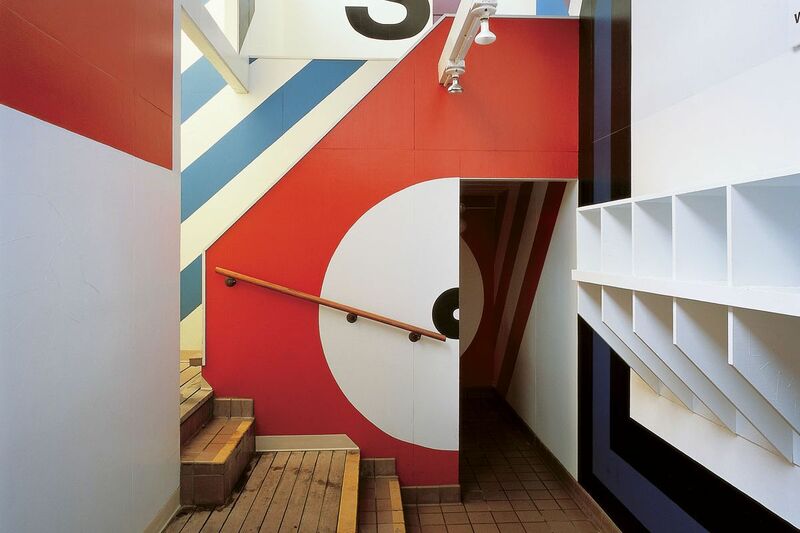 Barbara Stauffacher Solomon is a graphic designer best known for her large scale graphic works called ‘supergraphics’, particularly her work for The Sea Ranch in Northern California. She was a dancer and artist before she changed paths to study design in Switzerland. She got married quite young and had a child. Six years into their marriage her husband died of a brain tumour. He was the breadwinner of the family so Barbara was forced to find a way to support herself and her daughter. She knew she couldn’t make a living being a ballerina or an artist but she knew she could make money doing design. So she went to Switzerland and studied graphic design with Armin Hoffman. After finishing her studies she worked in Switzerland for sometime before moving back to San Francisco where she was born. Here I believe she was hired into an architecture or design firm, but I’m not sure. She had a lot of fun doing the graphics there and that’s how she ended up doing Sea Ranch. Apparently, the reason she created super graphics for the ranch was actually because they couldn’t afford to put another coat of paint/varnish on the buildings. So they asked her if she could paint it for them and maybe add some cool graphics. 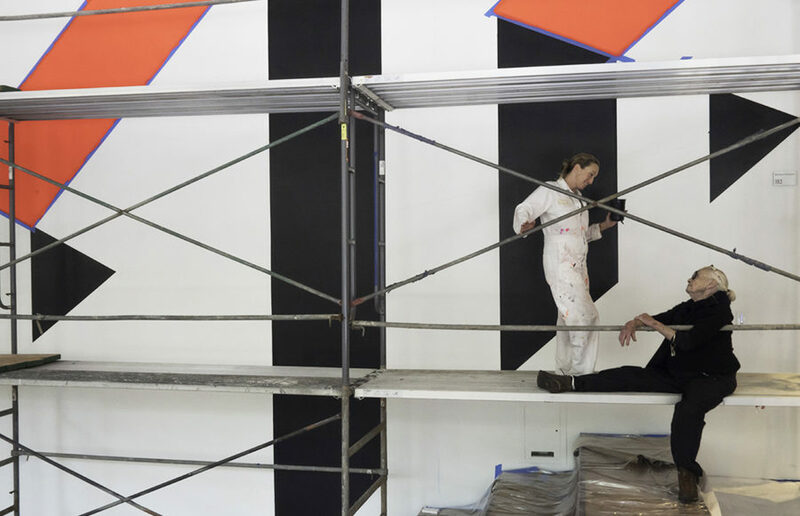 And that’s how the supergraphics were born. When talking about the design process Barbara says that she was just doing what Armin Hoffman had trained her to do. She had learned grid systems and minimalism with him and she brought this Swiss design to all of her work. If you look at her super graphics you can see how it has roots in Swiss design with a Californian twist.